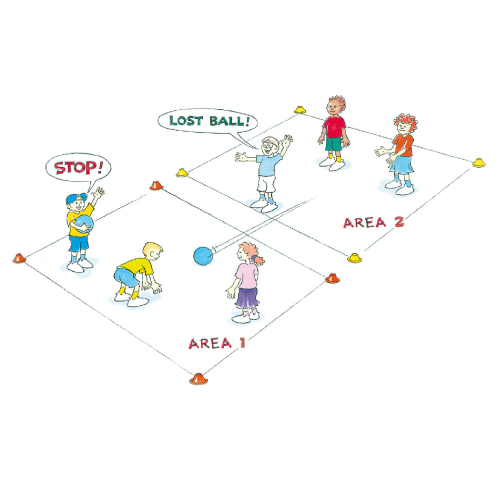 Continuous fielding is a rolling and trapping activity that leads to improved fielding skills. Line each team up, facing each other, approximately 10-15 metres apart. Place 3 balls at each end. Players roll the ball back and forth across the playing area. If an opposition players miss the ball, or do not field it cleanly, they must move to the side where they can team up with another partner and continue to practise fielding. The game concludes when 1 team has no fielders left to field the balls. Should we use 1 or 2 hands to field a ball?